Delivery of the 24" Plastic Liner Clip is 3-5 working days. This 24" plastic liner clip securely holds the liner to the top of the pool wall for an above ground swimming pool. 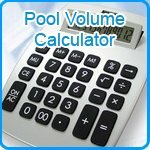 The table below gives a guide to the number of pool liner clips required based on the size of your pool.